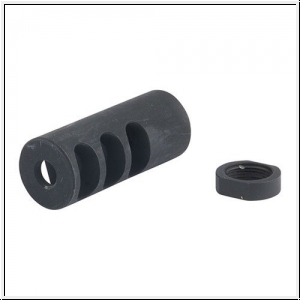 Muzzle brakes are used to increase muzzle control while also adding a custom look to any firearm with the correct muzzle thread. 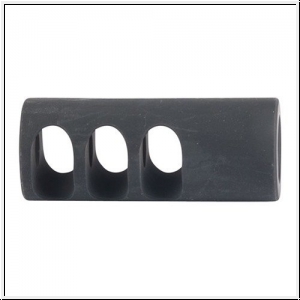 Muzzle brakes can contain any combination of ports and holes which help disperse gases up, down, left or right. With even dispersion of gases, felt recoil is reduce and a higher level of muzzle control is acquired. Includes jam nut for proper indexing.